FEAR LESS. Girlology was designed to give you medically accurate, in-the-moment support needed to navigate your journey with all the facts and greater confidence. An accessible resource like no other, Girlology helps girls (of all ages) and parents prepare for what’s ahead. KNOW MORE. From bra shopping tricks, acne care secrets, and period solutions, to eating disorder prevention and friendship tips — our Girlologists (that’s us—experienced and caring mom-docs) are ready to guide you through every age and stage of girl-life. Inspired by your questions and curiosities, Girlology Classes (moms, you can watch too!) are dedicated to sharing medically accurate, bite-size videos designed to inform and assure girls on every issue. Our weekly Mom Minute Tips share practical Girlologist insights designed to enlighten, support and facilitate communication with your daughter. Dr. Melisa Holmes, MD, FACOG │ Co-Founder & Mom Of Three. Dr. Melisa is a graduate of The Medical College of Georgia. As an Ob-Gyn, Melisa joined the faculty at the Medical University of S.C. (MUSC) where she held joint appointments in Obstetrics/Gynecology and Pediatrics. She served as director of the MUSC Teen Clinic and created a clinic for sexual assault survivors. As a nationally recognized advocate for adolescent health, she has served on the American College of Obstetricians and Gynecologists' Committee on Adolescent Health Care and worked with National Campaign to Prevent Teen Pregnancy. She is on the Board of Directors for the SC Campaign to Prevent Teen Pregnancy and serves on the Advisory Board for Amaze.org, a global sexuality education project. In addition to co-authoring the Girlology series of books, she has written numerous scientific papers and textbook chapters as well as articles and guest blogs. As a passionate teacher for her patients, Dr. Holmes received a national award from the American College of Obstetricians & Gynecologists for patient education. As an excellent clinician respected by her peers, she was also named among the Best Doctors in America. Trish Hutchison, MD, FAAP │ Co-Founder & Mom Of Two. 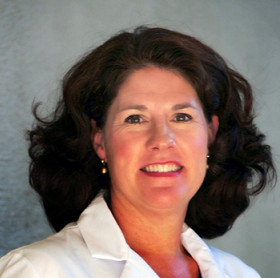 Dr. Trish earned her MD at the Medical University of South Carolina (MUSC). 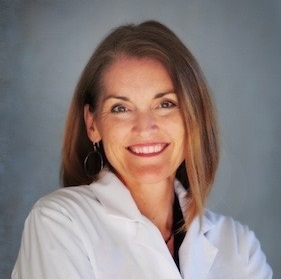 After completing her Pediatrics residency at Vanderbilt University, Trish returned to Charleston, where she founded and directed a young women’s health center for the Department of Adolescent Medicine at the Medical University of South Carolina. As an expert on adolescent development, teen sexuality, and parenting, she has been listed among the Best Doctors in America. In addition to leading Girlology programs, she practices medicine in the Student Health Center at the College of Charleston -- providing Dr. Trish exposure to the issues facing teens today. Her years of clinical practice and her warm and non-judgmental approach have made her a highly trusted and respected physician among kids, college students, and parents alike. Additionally, she provides the same level of care and concern as a medical mission team leader on regular trips to underserved countries.